It's been a while since I've done a Waiting on Wednesday post, but it's better to pick it up now rather than never! 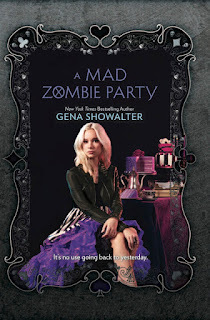 This week I'm excited for A Mad Zombie Party by Gena Showalter. I was super sad when this series ended last year, so I was squealing with joy when I saw that this book was announced! I don't know what to expect, especially since it's with a new point of view, but I'm excited nonetheless. Who knows what this book will bring! You know I've seen these book covers around but I never picked them up to see what they were all about. You seem to love them, so they are worth adding?